It's a Monday Meal Time!! So... I had a super busy weekend! On Saturday I had to go to my Grandma's birthday party but then I had to go to my Grandpa's birthday party. We got home around 9:00pm. Sunday well... was a relax day. 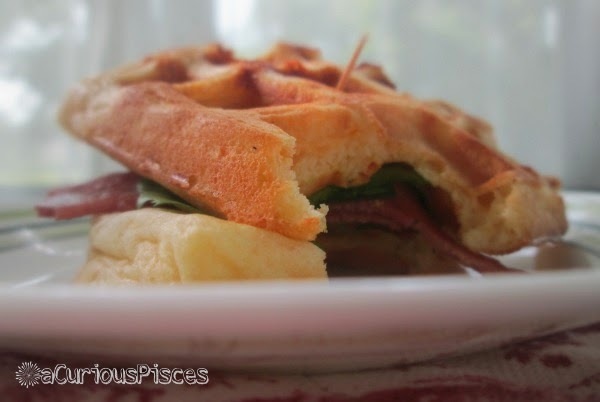 But it's Monday and I am sick:( But I made Cheddar Buttermilk Waffle BLT's! Yum! First put all the waffle's ingredients in a bowl. 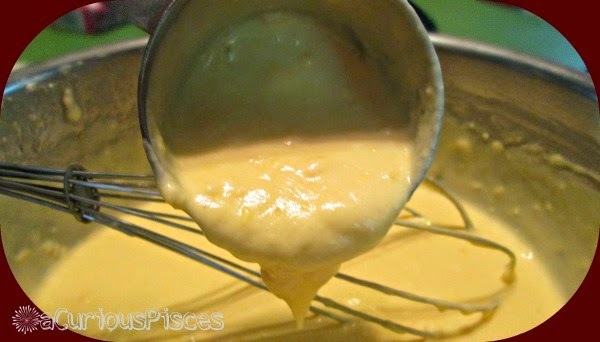 Then whisk the batter. Next pour (about 2/3 cups at a time) on the waffle iron. Cook until brown. These are the great parties that I link up to! 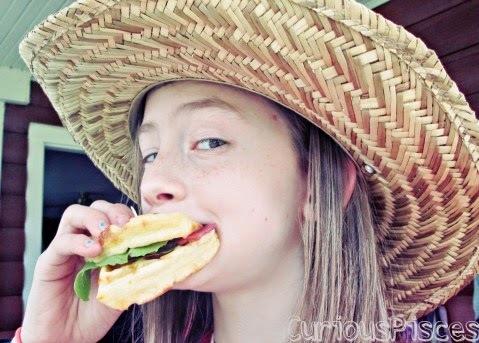 I just love your Cheddar Buttermilk Waffle, it looks fantastic! Hope you have a great week and thanks so much for sharing with Full Plate Thursday. Looks mighty tasty! Thanks so much for sharing at Weekend Potluck. We'd sure love it if you'd link back to the party within the post...it makes you 'eligible' to be featured...have a wonderful week and do come back soon. Thanks for the heads up Marsha :) I will add a link to my post!